Genealogy gets a bad rap, author Christine Kenneally writes, because of its hint of elitism, its whiff of self-absorption, and its slightly queasy associations with the concepts of breeding and eugenics. (This view of the project is borne out when she looks at a Nazi genealogical book, with its list of approved German names and essays on race hygiene.) But, she argues, wanting to understand the story of one’s ancestors is understandable and human; it just doesn’t go far enough. If there’s any overarching theme in this sprawling, entertaining look at genetics and genealogy, it’s that we are always more than the sum of our biological parts. Kenneally visits with researchers OF the human genome and ancient migration and talks to individuals whose DNA testing has revealed markers for horrible diseases or a different racial identity than they had assumed. Writing about the relationship among genetics, migration, and race can be awfully tricky, and while Kenneally doesn’t fall here she does stumble a bit (a section on the American mixed-race group the Melungeons goes on at length about things like “shovel-shaped incisors” and “the Anatolian bump,” while failing to mention the racism that made such details a litmus test of identity). Other sections, on the intersection of genetics and medicine, offer a much more useful way of looking at how our ancestry continues to shape our lives. The Johnston family moved to Keene, N.H., in the late 1930s; a doctor and his vivacious wife, they quickly became involved in the city’s civic and social establishment. What their neighbors and even the couple’s own four children didn’t know was that they were black, passing for white. When Reader’s Digest, Look, and Life magazines covered the Johnstons’ story in 1947 and 1949, it was as a triumph of integration (articles lauded the “open-mindedness” and “compassion” of Keene’s white residents). None reported on what happened afterward, when Johnston was forced out of his job at the local hospital. The land in Nebraska may be mostly flat, but it’s the sky that matters. “We were erased in that great expanse, and beneath it we knew our place,” writes Ladette Randolph. “We are all but annihilated under the burden of the sky.” In this lyrical, carefully observed memoir, Randolph tells of another burden: the fundamentalist Christianity of her childhood, a harsh faith that pushed her into marriage and from which she escaped, but not without pain. In its first years on the market, Enovid was advertised as a pill women could take to regulate their periods. The FDA hadn’t yet approved it for the purpose of birth control, but that was surely why half a million women were already taking it by the time regulators permitted it to be sold as the first oral contraceptive. 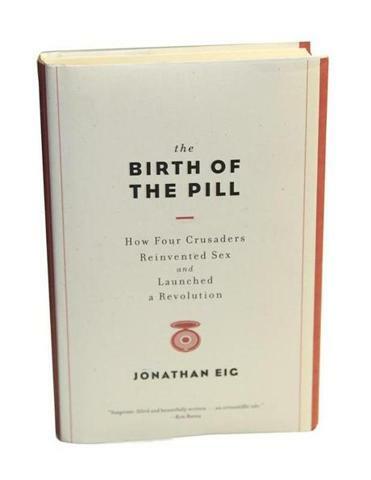 By 1965, more than 6 million American women were on what everyone just called the pill, “perhaps the only product in American history so powerful that it needed no name,” as author Jonathan Eig quips. In this zippy new history, Eig covers fairly familiar territory — even he seems slightly bored at having to recap the social and sexual shifts of postwar America — but his stylish storytelling makes this a fresh, infectiously readable take. Focusing primarily on four key figures — birth-control crusader Margaret Sanger, philanthropist Katharine McCormick, scientist Gregory Pincus, and pediatrician John Rock — Eig chronicles a medical invention THAT BECAME PART OF “a human rights campaign” to allow women to control their own fertility. He deftly lays out Sanger’s uncomfortable relationship with the eugenics movement (mostly a case of strange bedfellows, but not entirely), as well as Rock’s nearly successful battle to PERSUADE the Catholic Church to endorse or at least condone the pill’s use. Sadly, his depiction of the heated opposition to birth control in general — including critics who denounced Sanger’s “barnyard ethics” and “evil philosophy of lust and animalistic mating” feels uncomfortably current.